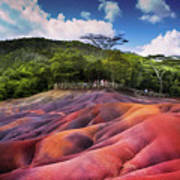 Seven Colored Earth In Chamarel. 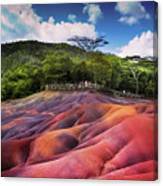 Mauritius is a photograph by Jenny Rainbow which was uploaded on January 20th, 2013. 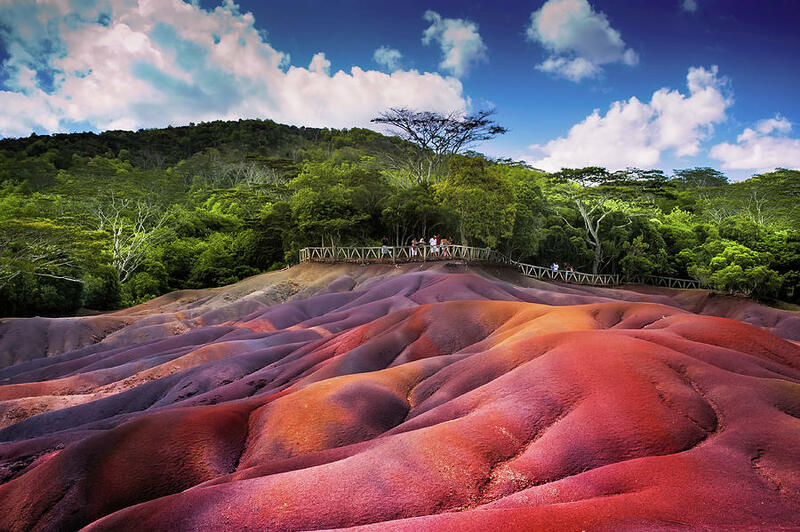 Seven Colored Earth in Chamarel. 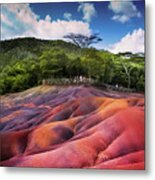 Mauritius by Jenny Rainbow. A Natural Wonder. A small region of about 7500 sq. meters near the village of Chamarel, Mauritius has a geological oddity of earth of seven colours - red, brown, violet, green, blue, purple and yellow. Reportedly this is the only location in the World where one can see earth of 7 different colours at one place. The coloured earth also has a strange property of settling into its individual colour group even if it is mixed with other colours. When earth of different colours is mixed, a few hours later, the sandy particles re-group and settle into layers of individual colours. This reminds me of The Painted Pot in Yellowstone Park. Wonderful capture of a one of a kind place! Donna, thank you very much, its really amazing scenery! Elizabeth, thank you so much for your visit and words! Thank you very much, Roger, yes its an uniquely beautiful place! Thank you very much, Alan, I appreciate your words! Carol, thank you very much to feature this image in the group Beautiful Scenery! Eva, thank you very much to feature this image in the group Places You Visited! Jose, thank you very much to feature this image in the group Stop Time with Art! Wow, what a beautiful place Jenny! Amazing colors! Beautiful colors and ambiance! Great shot! Andres, thank you very much! Beautiful Jenny. I love the shadows and textures as well as the colors. Thank you very much, Thomas! It was so spectacular place! Superb landscape! Featured in Up Close and Personal. voted. Susan, thanks a lot to feature this image in the group Women Photographers! Thanks so much to Nadine and Bob to feature this image in the group USA Artist News! Gina, thank you very much for feature this image in the group Expression of Light Mood and Emotion!